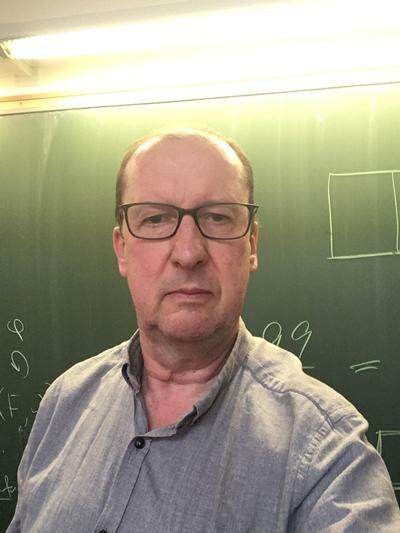 Professor Peter Kropholler is a Professor of Mathematics within Mathematical Sciences at the University of Southampton. My research interests are inspired by the study of dimension and related cohomological finiteness conditions for groups and for the geometrical objects whose symmetries they describe. I have made contributions to the theory of infinite soluble groups, Poincaré duality groups, splittings of groups and hierarchical decompositions of groups. My recent research has led me to many wider fields of application of these methods. Cornick, J., Kropholler, P. H., Talelli, O., & Emmanouil, I. (Accepted/In press). Finiteness conditions in the stable module category. Advances in Mathematics. Bieri, R., Kropholler, P., & Owens, B. (Accepted/In press). On subsets of S^n whose (n+1)-point subsets are contained in open hemispheres. New York Journal of Mathematics. Kropholler, P. (Accepted/In press). Groups with many finitary cohomology functors. OSU Conference Proceedings December 2010. Kropholler, P., & Lorensen, K. (Accepted/In press). Near supplements and compelments in solvable minimax groups. Transactions of the American Mathematical Society. Camina, A., Hurley, T., & Kropholler, P. H. (1993). K.W. Gruenberg. Journal of Pure and Applied Algebra, 88(1-3), 1. Kropholler, P. H., & Roller, M. A. (1988). Splittings of Poincaré duality groups II. Journal of the London Mathematical Society, 38(3), 410-420. Berrick, A. J., & Kropholler, P. H. (2001). Groups with infinite homology. In J. Aquade, C. Broto, & C. Casacuberta (Eds. ), Cohomological Methods in Homotopy Theory (pp. 27-33). (Progress in Mathematcis; Vol. 196). Basel, CH: Birkhäuser. Kropholler, P. H. (1995). Hierarchical decompositions, generalized Tate cohomology, and groups of type (FP)? In A. J. Duncan, N. D. Gilbert, & J. Howie (Eds. ), Combinatorial and Geometric Group Theory, Edinburgh 1993 (pp. 190-216). (London Mathematical Society Lecture Note Series; Vol. 204). Cambridge, GB: Cambridge University Press.